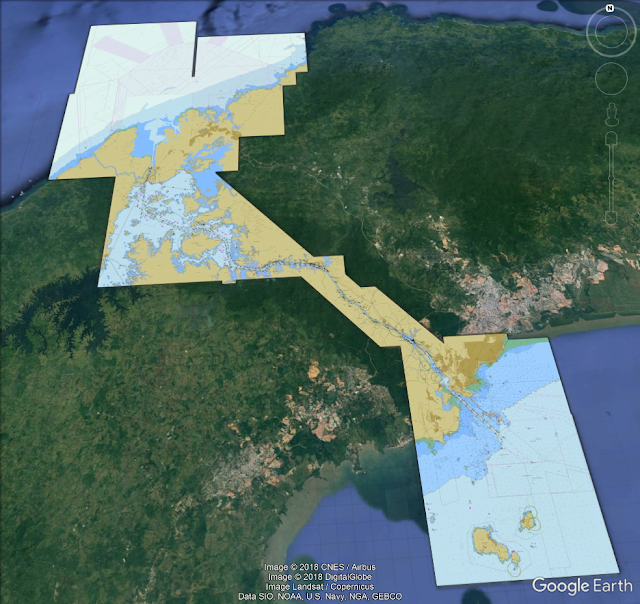 Full transit of the expanded Panama Canal. MR combines the real and virtual worlds by overlaying holograms (3-D virtual objects) in real spaces or on physical objects in front of the viewer’s eyes. Unlike virtual reality (VR) devices, MR devices like HoloLens enable the user to view and manipulate the holograms within a visible, real-world context. JRCS has created a new Digital Innovation Promotion Office to work on the new projects, which will focus on the development of three concept models. The first is INFINITY Training, a remote training system using mixed reality and AI to train seafarers and land-based supervisors, which is expected to become available in March 2019. JRCS has previously run specialised training for seafarers at its Shimonoseki headquarters’ training centre, but the new system will allow seafarers throughout the world to participate in training through the sharing of MR spaces. 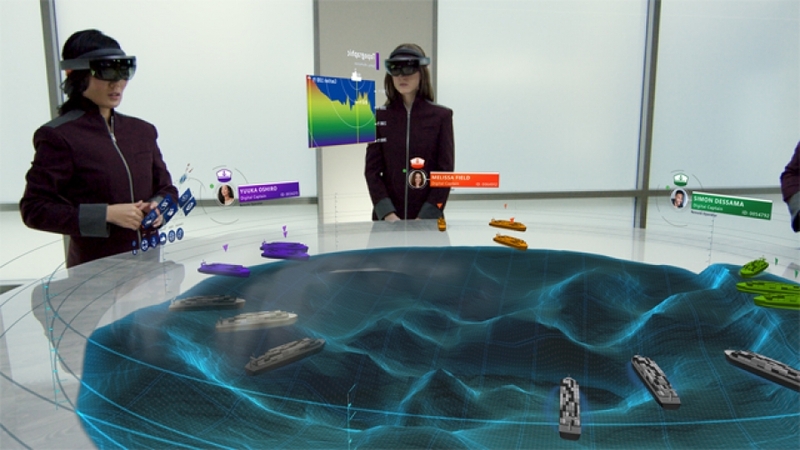 The second concept to be explored is INFINITY Assist, a remote maintenance system which will see engineers use HoloLens headsets when working on vessels, allowing maintenance procedures to be displayed and virtually overlaid on the equipment. JRCS says it plans to commercialise a maintenance application for its high voltage switchboards by the end of 2019, and will add further content from 2020 onward. Our aim is to advocate the way that leads to the realization of autonomous navigation. 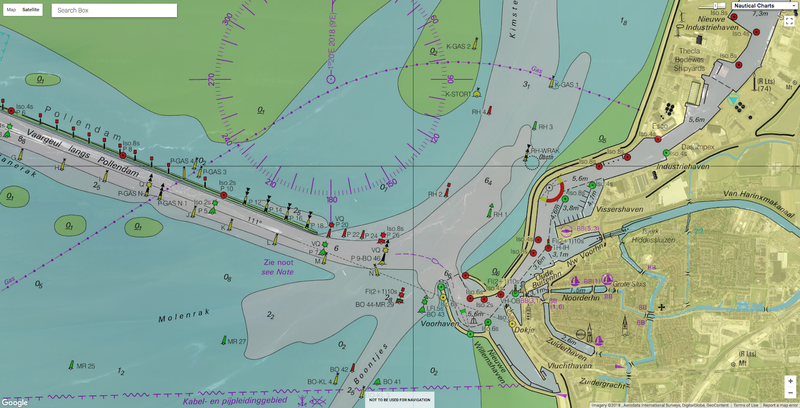 Conceptually, a captain while responsible for maneuvering the vessel keeps in mind that in the near future, as a digital captain, control of several vessels will be afforded from land. The utilization of technology and data such as IoT and AI will improve all aspects of safety and precision and will also be labor saving and quick. The third concept under development is INFINITY Command, a system for remote control of ships from shore, aimed at eventually supporting self-navigating vessels. JRCS says it will work with Microsoft Japan to examine how technologies such as IoT and AI can be integrated with Big Data to enable ‘digital captains’ to undertake the duties of vessel masters in the future, to allow them to control multiple vessels from land. These digital captains will use HoloLens to share 3D charts with other digital captains in remote locations, while also allowing them to check sea routes, weather, submarine topography and other information. JRCS aims to launch a full INFINITY Command service in 2030.
and islands in the Pacific average only two meters above sea level. The threats to the islands are twofold. In the long term, the rising seas threaten to inundate the islands entirely. 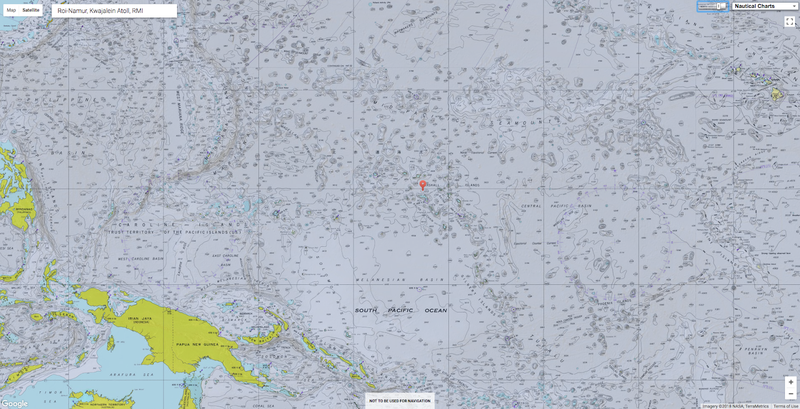 The study focused on a part of the Marshall Islands in the equatorial Pacific Ocean. Hilda Heine, president of the Marshall Islands, said in an interview that Wednesday’s journal article “brings home the seriousness” of the predicament facing her island nation. shows its low-lying islands and coral reefs. The U.S. military supported the research in part to learn about the vulnerability of its tropical-island installations. 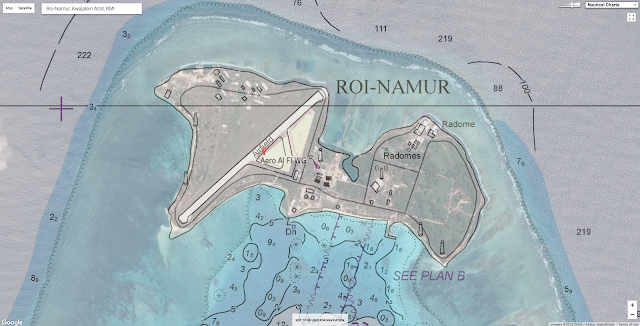 The Pentagon base on Roi-Namur and surrounding islands supports about 1,250 American civilians, contractors and military personnel. 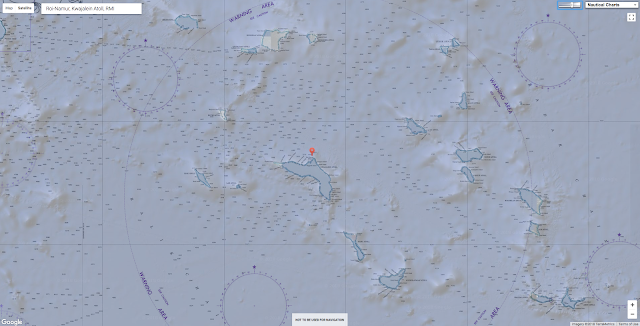 The low-lying island, which rises barely six feet above the current sea level, is part of the vast Kwajalein coral atoll, a structure that formed as coral reefs grew around a sinking volcanic island long ago. That is the origin of more than a thousand other low-lying, ring-shaped atoll islands or atoll island chains across the Pacific and Indian oceans. Most are not populated, but some, such as the Marshall Islands and Maldives, are home to tens or even hundreds of thousands. But the new research — conducted by researchers from the U.S. Geological Survey, the National Oceanic and Atmospheric Administration and several other institutions in the United States, Monaco and the Netherlands — suggests that saltwater contamination of the island’s aquifers would probably occur at 40 centimeters (about 15 inches) of sea-level rise. A rise of five to six centimeters globally has already occurred since 2000, and the sea-level rise is even faster at the Kwajalein atoll. “Historically, there would be an overwash event due to a cyclone or typhoon every 20 or 30 years,” said Curt Storlazzi, a USGS researcher who led the study. “Every 20 or 30 years or more, communities can recover in that time. "Even if we don't worry about the groundwater issue, when seawater floods through cars and buildings and infrastructure every year, that's going to have an impact,"
U.S. Geological Survey scientist Curt Storlazzi said. The “tipping point” in the study varies depending upon the rate of climate change — and above all the stability of Antarctica. However, a prominent expert in sea-level rise who was not involved in the study, Bob Kopp of Rutgers University, questioned that especially dire finding. For less dire scenarios, the critical moment is pushed further off to the decade between 2030 and 2040 for a high warming scenario without Antarctic collapse, or 2055 to 2065 for a middle-range warming scenario. Kopp said that middle scenario is consistent with what is known and provided an analysis suggesting that while there is indeed a major threat, it won’t arrive as soon as 2030 but could by the 2050s. “Even if you take their most conservative scenario, the numbers are really disturbing,” Kopp said. Storlazzi said that, if anything, Roi-Namur is probably somewhat higher in elevation than many other coral atoll islands, hence the conclusion that so many of them could be at risk — the study says that “most” are — and that the occupied ones might also, in the relatively near future, have to worry about their drinking-water supplies. Wave-driven flooding and overwash on Roi-Namur atoll in the Marshall Islands. The United States manages military installations or assets not only in the Marshall Islands but also on Wake Island, another Pacific atoll, and the Diego Garcia atoll in the Indian Ocean. 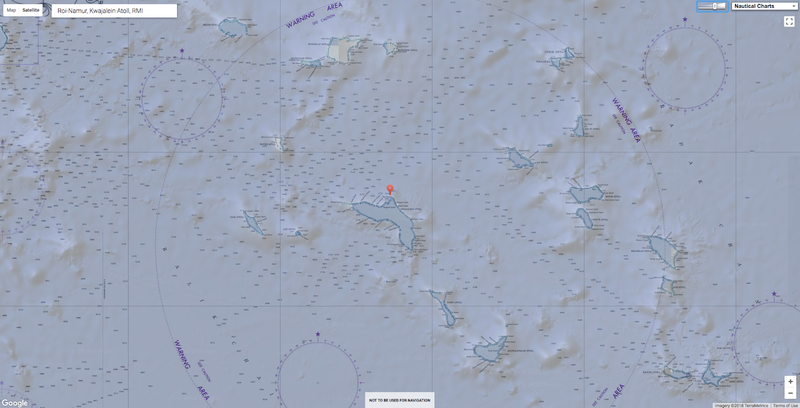 There are also decommissioned installations at the Midway and Johnston atolls. Part of the risk can be addressed by adaptive measures, he said, but that’s costly. “They are going to have to make some operational decisions,” Conger said. 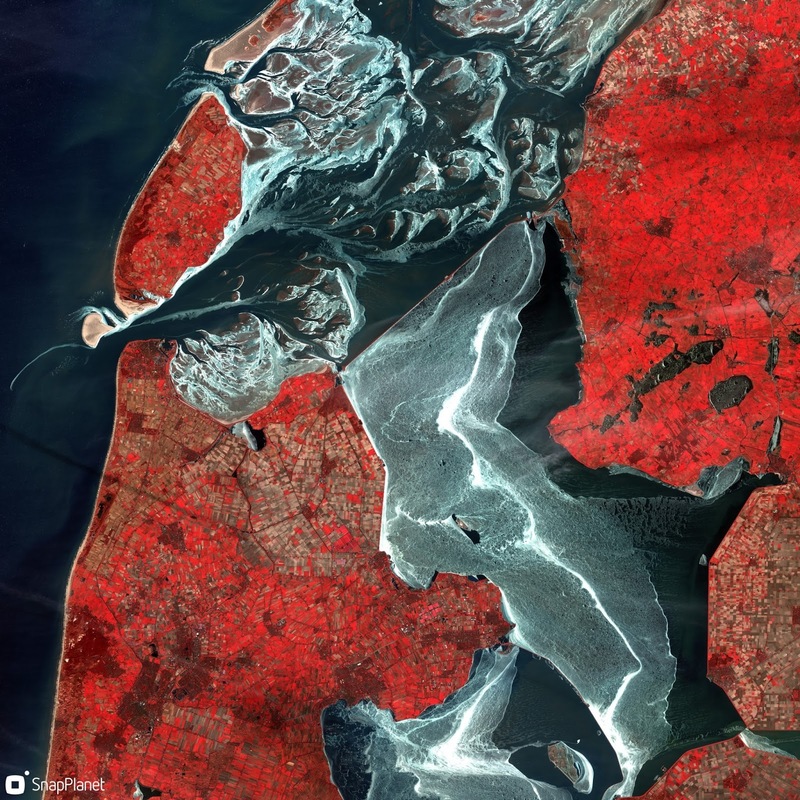 “This is sort of the front lines of sea-level rise and climate change. It’s not that the entire island is going underwater — it’s that you don’t have drinking water. 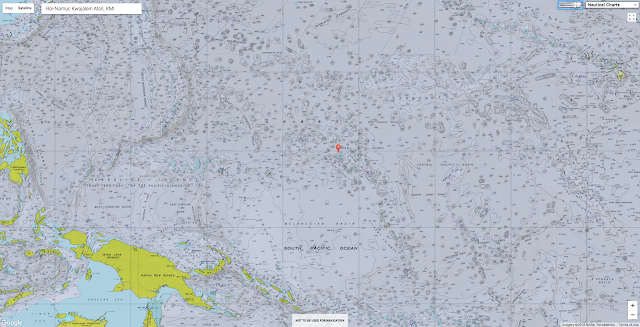 Case in point: the $1 billion “Space Fence,” a radar installation on Kwajalein Atoll that is intended to track tens of thousands of pieces of space junk — some of them as small as a baseball — in an effort to keep orbiting satellites and astronauts safe. The study underscores why many small island nations clamored to ensure that the 2015 Paris climate agreement included language requiring the world to strive to limit global warming to 1.5 degrees Celsius (2.7 degrees Fahrenheit) above preindustrial levels, an extremely stringent target. Atoll-dependent nations that have been heavily involved in the push for climate action include the Marshall Islands, Maldives, Kiribati and Tuvalu. The new study did not address specific Paris climate targets, but Kopp’s additional analysis found that even under a 2-degree or 1.5-degree Celsius climate scenario, by late in the century, more than 40 centimeters of sea-level rise will probably occur. Still, these scenarios would buy atoll islands some time. Heine, the Marshall Islands president, said there is no ignoring the affects climate change already is having. 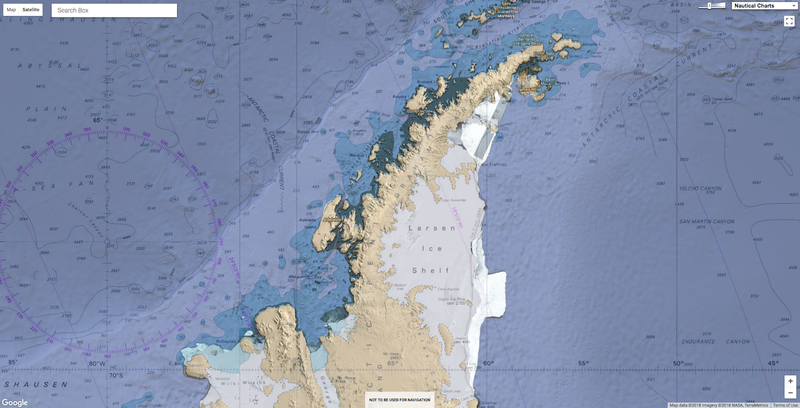 Just last week, she said, waves washed over parts of the island nations, thanks to a combination of wind and ocean currents exacerbated by sea-level rise. Residents were left to clean up flooded roads and neighborhoods. “It’s more of a nuisance than anything, but things like that are coming every other month or so,” she said. Her government is doing what it can to protect its vulnerable shorelines, building new sea walls with the limited resources it has. But it’s not nearly enough. “The leaders of the United States need to get on board. … We should stop denying what is happening and help vulnerable countries like ours,” Heine said. “It’s important for people in the U.S. to realize that this is real, it’s happening to people. A critical issue for the islands in question is the fate of the coral reefs from which they are made and that surround them. Reefs break waves, helping to prevent overwash events, and they also grow to keep pace with sea-level rise — at least to an extent. But even as seas are rising, coral reefs around the world have been suffering from severe bleaching events and are weakened further by acidifying oceans. This suggests that reefs could be hobbled and unable to protect their islands from waves. “The coral reefs these days have suffered not only of sea-level rise but mostly in terms of acidification of the ocean and also increase of temperature,” said André Droxler, a geoscientist at Rice University who has studied how corals succumbed to fast-rising seas at the end of the last ice age. Droxler said the study reminded him of Maldives, where he has worked and which faces a situation similar to that of the Marshall Islands. “The maximum elevation is 2.4 meters, and there are more than 140,000 people living in two square miles,” he said of the capital island of Male. Phys : Climate change will displace millions of people. Where will they go? It was a vampire squid that inspired the European winner of this year’s Goldman environmental prize to successfully challenge the devastatingly unsustainable practice of bottom-trawling. More than a decade before Blue Planet, Claire Nouvian was researching this rare creature – a living fossil that is found 4,000m below the surface of Monterey Bay – for a French television company, when she first realized the extraordinary variety of life and colour on the deep ocean floor. The joy of that discovery was quickly followed by horror when she realized how quickly this landscape – formed over centuries – was being turned into a desert as a result of industrial fishing. A bottom trawl is a type of fishing net that's pulled along the seafloor. Fishermen commonly use bottom trawls to catch shrimp and bottom-dwelling fish like halibut and sole. However, in addition to these target fish, the nets also catch a variety of ocean life that's usually thrown back dead or dying. Dragging heavy gear across the seabed can also damage sensitive seafloor habitat. The harmful effects of bottom trawling on bottom-dwelling organisms and their habitat can be reduced by modifying the fishing gear or limiting trawling areas. Deep-sea bottom trawlers drag heavy nets with steel doors and roller gear across the ocean floor, decimating ancient coral, mussel colonies, sponges, sea worms and many species that live long and breed too slowly to replenish their numbers. The technique has been compared to the clear-cutting of forests because the heavy doors – some of which weigh several tonnes and are marketed as canyonbusters – scrape the tops off of seamounts and rugged terrain. A tireless defender of the oceans and marine life, Claire Nouvian led a focused, data-driven advocacy campaign against the destructive fishing practice of deep-sea bottom trawling, successfully pressuring French supermarket giant and fleet owner Intermarché to change its fishing practices. Her coalition of advocates ultimately secured French support for a ban on deep-sea bottom trawling that led to an EU-wide ban. Determined to challenge this, Nouvian switched from journalism to activism, founded the Bloom Association in 2005, and began a campaign that recently resulted in a major policy shift by the European Union. She describes her strategy as an application of investigative journalism. She first identified the problem, honed in on the causes, interviewed the major players and then sieved through reams of data to expose the ecological and economic flaws of the business. “Deep-sea bottom trawling applies the most destructive fishing to the most fragile ecosystem,” Nouvian told the Guardian in an interview ahead of the Goldman award ceremony. Nouvian initially focused attention on a fishing fleet owned by Intermarché, a French supermarket chain. Her association sifted through years of corporate accounts and discovered that the fleet was chronically unprofitable even with public subsidies. In partnership with other NGOs, they also canvassed former fishing communities in France and the UK to see how fishing port communities were being ruined by industrial trawling. This was followed by a petition calling on the government to ban a practice that was environmentally destructive and economically unviable. With the help of a viral cartoon on the subject by acclaimed French illustrator Pénélope Bagieu, more than 900,000 people signed up, forcing first Intermarché, then the French and UK governments, then the European parliament and council to agree on restrictions. From June 2016, European fleets have been banned from bottom trawling at depths of more than 800m. Nouvian is now targeting pulse fishing, which uses electric currents to stun fish or induce spasms that force sole and plaice from the sediment. The European commission banned this practice – along with fishing with poison and explosives – in 1998, but eight years later accepted a Dutch proposal for an exemption for 5% of trawlers to conduct “scientific research” into whether this form of fishing is less destructive than other types of trawling. Nouvian says 84 Dutch ships have been fitted with electrodes, which is more than 30% of the fleet, and they only started collecting data after Bloom challenged them in 2016. Under pressure from Bloom, other NGOs and small-scale fishermen’s groups, the European parliament voted to prohibit pulse fishing inside EU waters earlier this year. But she says it continues on a wide scale because the European commission is failing to enforce regulations while the EU institutions make a final ruling on whether pulse fishing should be prohibited. Nouvian has called on supermarkets to refuse to stock electric-caught fish but so far in the UK only Waitrose, Co-op and Morrisons have agreed, while Tesco, Sainsbury’s, Asda and Marks and Spencers have not replied. French retailers – who have learned not to cross this formidable campaigner – have been more responsive. The prize-winner – who complains there is only 20 hours to work in a day – is also working to ban shark-finning in Asia and lobbying the World Trade Organisation and governments around the world to end subsidies for destructive industrial fishing and to give more support to small-scale fishing communities. GeoGarage blog : Is fishing with electricity less destructive than digging ... / Can the EU do more to protect deep sea life? Boyan Slat dropped out of school to work on his design for a device that could collect the trillions of pieces of plastic floating in the ocean. After years of work, it’s ready to take its first voyage. 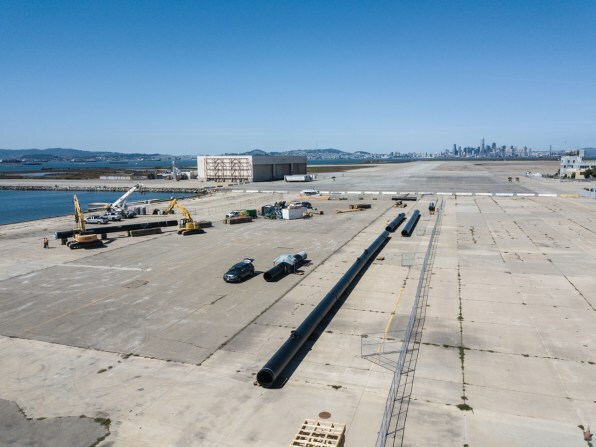 On a Wednesday afternoon in a sprawling lot on a former naval air station in Alameda, California, across the bay from San Francisco, workers are welding a massive black tube together. 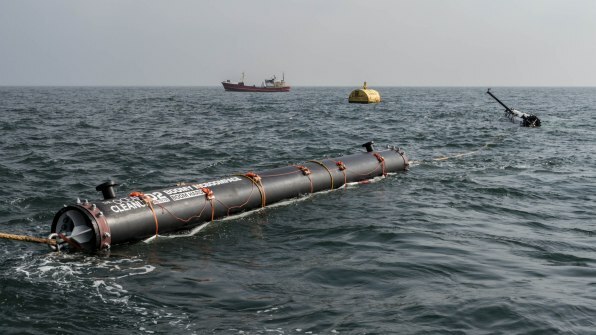 The tube–roughly the length of a football field–is one piece of a larger system that will set sail for the Great Pacific Garbage Patch this summer, where it will begin collecting some of the 1.8 trillion pieces of plastic trash brought there by ocean currents. Six years ago, the technology was only an idea presented at a TEDx talk. Boyan Slat, the 18-year-old presenter, had learned that cleaning up the tiny particles of plastic in the ocean could take nearly 80,000 years. Because of the volume of plastic spread through the water, and because it is constantly moving with currents, trying to chase it with nets would be a losing proposition. Slat instead proposed using that movement as an advantage: With a barrier in the water, he argued, the swirling plastic could be collected much more quickly. Then it could be pulled out of the water and recycled. 1.8 trillion pieces of plastic weighing 80,000 metric tons are currently afloat in an area known as the Great Pacific Garbage Patch - and it is rapidly getting worse. Some scientists have been skeptical that the idea is feasible. But Slat, undeterred, dropped out of his first year of university to pursue the concept, and founded a nonprofit to create the technology, The Ocean Cleanup, in 2013. The organization raised $2.2 million in a crowdfunding campaign, and other investors, including Salesforce CEO Marc Benioff, brought in millions more to fund research and development. By the end of 2018, the nonprofit says it will bring back its first harvest of ocean plastic back from the North Pacific Gyre, along with concrete proof that the design works. The organization expects to bring 5,000 kilograms of plastic ashore per month with its first system. With a full fleet of systems deployed, it believes that it can collect half of the plastic trash in the Great Pacific Garbage Patch–around 40,000 metric tons–within five years. The system uses a giant floating tube–the first one will be 2,000 feet long–made of a durable plastic called HDPE, which can float in the water, flexible enough to bend with the waves, but rigid enough to form a U-shaped barrier to stop the plastic floating on the ocean’s surface. A strong nylon screen, attached underneath, will catch some of plastic below the surface, but because it isn’t a net, won’t catch marine life. Large anchors, floating in still water hundreds of feet below the surface, will help steady the device so it moves in the current more slowly than the plastic, making it possible to scoop up the plastic that’s collected in front of the device. There have been multiple engineering challenges along the way. The design originally called for an anchor attached to the seabed, but because of the expense and complication, the team had to abandon the plan; they eventually realized that a floating anchor could work. “There were many times in the last few years that were really rough,” Slat, now 23, told me as we sat on a pallet surrounded by sections of the device. The fact that there was so much at stake helped him keep going. “I would never be able to work on a photo-sharing app or ‘internet startup XYZ,'” he says. “I think people overestimate the risk of high-risk projects. Personally, I think I would find it much harder to make a photo-sharing app a success–it sounds counterintuitive, because it’s much easier from an engineering perspective, but I think if you work on something that’s truly exciting and bold and complicated, then you will attract the kind of people that are really smart and talented. 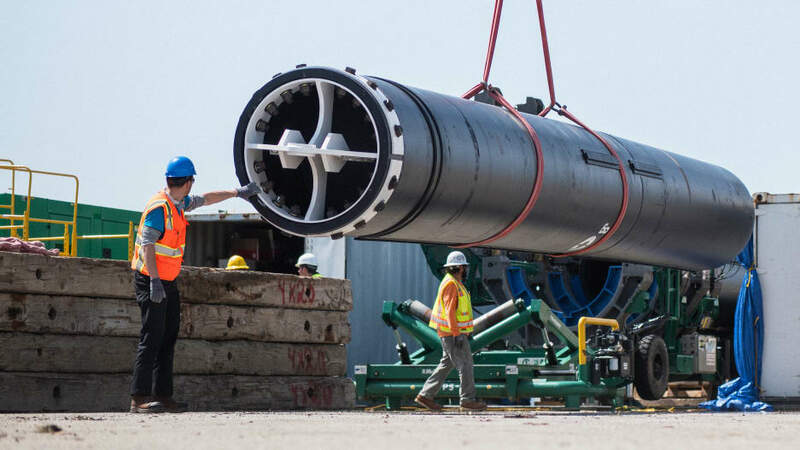 In a few weeks, the first piece of the technology, the length of a football field, will be towed out of the San Francisco Bay, along the coast of the Farallon Islands, where the team will test how the system holds up to towing. To make it to the Pacific Garbage Patch, the equipment will need to be towed for three weeks. After the local “tow test,” the engineers will bring the first section back, and connect the rest to form a total of the 2,000 feet of piping, slightly longer than the Sears Tower is tall. With assembly complete, they’ll take the equipment 200 miles offshore for a final test. (Because this test is not in the “accumulation zone” for plastic, they don’t expect to collect much waste, but will check that the whole system operates correctly.) If all goes as planned, they’ll set sail for the gyre, arriving in August. By the late fall, they plan to come back with a shipment of plastic that can be turned into products. Manufacturers like Adidas started using ocean plastic as a material, recognizing the consumer appeal, in 2016. Ultimately, the nonprofit wants corporations to sponsor more of the systems–with logos printed on the tubes, despite the remote locations (it’s more about the symbolism)–at the other major ocean gyres. The money made from selling the plastic to manufacturers, who want the cachet of using ocean plastic, will theoretically fund the operation. But Slat argues that it’s a mistake, in some cases, to start with more modest solutions and scale up. In the case of ocean plastic, using smaller technology for collection would take too long. “I think very often problems are so big, people approach problems from the bottom up: ‘If only I do this little bit, then hopefully there will be some sort of snowball effect that will be bigger and bigger,'” he says. “I’m much more in favor of the top-down approach to problem-solving. Really ask, if the problem is this big, how do you get to 100%? Then knowing what it takes to get to 100%, work your way back. helps put the growing marine debris problem in perspective. Slat, like others working on the problem of plastic waste, recognizes that collecting existing waste is only part of the challenge. The other, of course, is stopping the initial flow of trash into the ocean, whether it’s been dumped into the Yangtze River or fallen through a storm drain in Los Angeles. “Cleanups play an essential role in dealing with the symptoms of ocean plastics pollution, but they do not address the causes,” says Sander Defruyt, New Plastics Economy lead for the Ellen MacArthur Foundation, an organization that works on helping create closed-loop systems for plastic. “They cannot keep pace with the rising tide of plastic pollution. To tackle the plastic pollution crisis, there is an urgent need to rethink the way we make, use, and reuse plastics. The organization has persuaded several major brands and retailers to commit to 100% reusable, recyclable, or compostable packaging, and promotes solutions like compostable, marine-degradable plastic made from food and agricultural waste by the startup Full Cycle Bioplastics. But while that work continues, the enormous amount of plastic already in the ocean–affecting wildlife and showing up in sea salt and oysters and elsewhere–needs to be addressed now. In a study that The Ocean Cleanup recently published in Nature with researchers from several universities, the team realized that the problem at the Great Pacific Garbage Patch was 16 times larger than it initially thought, or 80,000 metric tons. “It does further underline why it’s urgent to clean up,” says Slat. “Most of [the plastic] is still large, which means that in the next few decades if we don’t get it out, the amount of microplastics can be tenfold or 100-fold. The Independant : World's first ocean plastic-cleaning machine set to tackle Great Pacific Garbage Patch / Why is plastic bad for the environment and how much is in the ocean? Phys : What do we do about plastics? When on 21st November 1915 the polar explorer ship Endurance finally yielded to the Antarctic pack ice, Ernest Shackleton and his crew began one of the most gruelling survival attempts in history. Their five-month ordeal on the ice floes followed by the all-or-nothing 720-nautical-mile dash to South Georgia has since become the stuff of legend, pored over by scholars and adventurers for more than a century. But of the ship itself, no trace has been detected since the day it went down. On Monday, a British-led team announced it was setting out to find the wreck of Endurance, thought to be at rest nearly two miles beneath the Larsen C Ice Shelf in the Weddell Sea. Operating from the research vessel SA Agulhas II, the expedition will use the most advanced unmanned submarines in the world to scour the sea bed. But they will also arrive armed with an equally important tool - information from the diary of Captain Frank Worsley, the renowned navigator who was busy recording precise sextant readings even as the ship went down. At least three previous plans to find the stricken Endurance have failed. If the new Weddell Sea Expedition 2019 succeeds, the ship will be listed as a historic monument, protected under international law. In 2013, scientists at London’s Natural History Museum said they believed the ship may have been preserved from wood-boring worms by the Antarctic Circumpolar Current. “If the expedition finds the wreck we will survey, photograph and film it and document its condition,” said Professor Julian Dowdeswell, Director of the Scott Polar Research Institute at the University of Cambridge, who is leading the team. “If there are deep-water marine species colonising the wreck, the marine biologists may try to obtain scientific samples using the Remotely Operated Vehicle (ROV), if that can be deployed above the site from the ship. Built in Norway in 1912, the Endurance was arguably the strongest wooden ship ever constructed, with a 85-inch keel made from four pieces of soil oak. But unlike some “bowl-bottomed” ships of the period, it was not designed to rise out of the ice when it closed in. It meant that when the ship became beset amid the polar pack ice, the pressure was taken by the hull, which gave up after ten months. 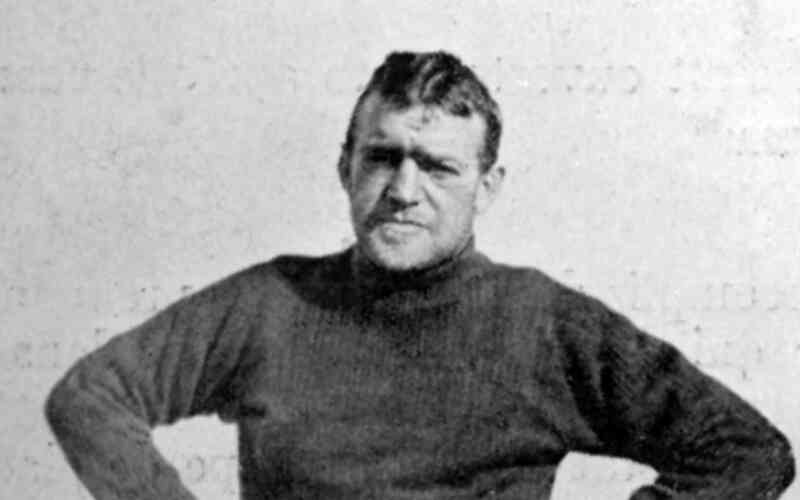 Shackleton and his 27 crew members subsequently spent weeks surviving on the ice, hoping it would drift them towards safety. Eventually they used three lifeboats to reach Elephant Island. Shackleton and five others then set sail for South Georgia in search of help, arriving two weeks later. It was not until August 1916 that the last of his crew were rescued. 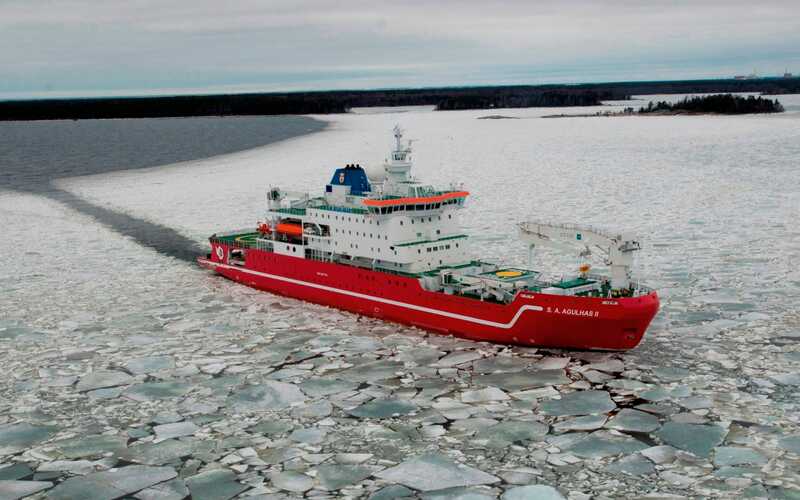 Funded by the Flotilla Foundation, the new expedition will send drones ahead of the SA Agulhas II to chart the best route through the ice. The effort to locate the Endurance will be undertaken alongside a detailed scientific study of the Larsen C Ice Shelf, which is acutely susceptible to atmospheric warming from above and ocean warming from below. The fourth largest ice shelf in Antarctica, the body was 17,000 square miles in area in July 2017. “Our expedition will be the first to use autonomous underwater vehicles,” said Professor Dowdeswell. “Because AUVs can free swim, it is not necessary for the vessel to be directly above the wreck location. When the Endurance became trapped it was sailing to drop Shackleton off for the beginning of his bid to cross Antarctica. In 2016 Lieutenant-Colonel Henry Worsley, a distant relation of the ship’s master, Captain Frank Worsley died just 30 miles short of achieving the feat himself. The sea is a difficult environment to deal with in an emergency situation. Submarine rescue requires multinational cooperation and training among NATO Allies and other nations to develop tactics and test cutting-edge technologies and equipment. The International Submarine Escape and Rescue Liaison Office (ISMERLO) was established by NATO, following the disaster in 2000 with the Russian submarine Kursk, when all 118 submariners on board tragically died. ISMERLO aims to prevent submarine accidents and respond on a global basis if they do occur. The NATO Submarine Rescue System (NSRS) is a cooperative project between three NATO countries: France, Norway and the United Kingdom. It is designed to rescue personnel from submarines in distress and can dive to depths of up to 600 metres. It consists of three main parts: an intervention system, a rescue vehicle and a transfer under pressure system. It is the largest fly-away submarine rescue system and can dive up to six hours, four times a day. On each dive, it can rescue approximately 12 submariners, who will receive medical treatment in its facilities, if needed. The NATO Submarine Rescue System is available to anyone on request and can be deployed almost anywhere in the world within 72 hours.